We see that drive to separate (called individuation) again in adulthood in the early 20s and again in the 40s (mid-life crisis, anyone?). So what causes all of that “push-back” and do we really need it? Because boundaries define us, yes, we need them. And when they seem too imposing, then we, as humans, tend to push against them pretty hard. They’re needed when we’re younger to provide safety. As independent as kids want and need to be, we all need to know that as human entities, we stop somewhere and someone/something else exists in the next space. That, literally, is what a boundary does for us. We are free, yet contained. We are connected, yet separate. That’s what rules do for us. And THERE is the good news and the bad news. This is the crux of our existential dilemma: Who Am I? 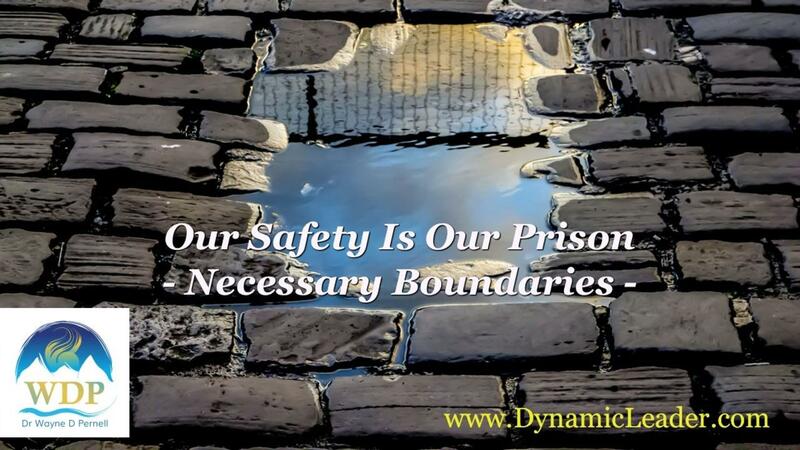 We need to set boundaries so that others don’t impose on us. We need to impose boundaries so that others know where we stand and what we expect. And, we need to break free. We need to know that we are connected, yet separate. One of the biggest fears we have is to be separated from our tribe, to feel like we don’t belong. This is why public speaking is perceived as a fear worse than death. It’s not that we fear public speaking. It’s that we fear separation. At the same time, it’s that separation that yields leaders. Inventors and scientists were (and are) persecuted for their beliefs. Thought leaders who dare to stand against the norm are told not to make waves even as they create new “tribes” of followers. As humans, we crave consistency. Funny enough, we also crave novelty. We like to know what to expect, so we sometimes impose boundaries on others. We enjoy the new or novel, so we sometimes violate other people’s expectations of us. It’s that enjoyment of the new that defines our freedom. And while that is what we all ultimately crave, we need something for reference. We need to know that we’re free from something because free-floating freedom actually creates its own angst. The key here is to recognize your boundaries. Identify the ones given to you. Recognize the ones you impose on yourself. And then decide. Decide which ones you are going to keep because they comfort you and help keep you save. Decide which boundaries you no longer need as you grow into your next – your next, “next.” That special iteration of a freer YOU. Yep, we all get stuck. We all feel like we could push into something new. And then that push gets scary. Welcome to being human.